Symach has announced that the company is sponsoring IBIS USA 2019 – World of Opportunity. 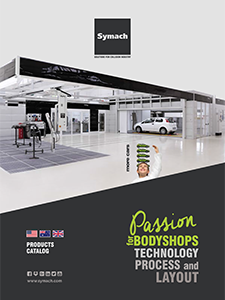 The International Bodyshop Industry Symposium (IBIS) conference is being held February 13-15 at the Hilton San Diego Resort & Spa in California. The USA event in February is expected to draw more than 200 delegates in the collision repair industry worldwide. IBIS said that this year’s theme emphasizes the seizing of opportunities for the collision market that have arisen through such themes as Advanced Driver Assistance Systems (ADAS), InsurerTech, new skills needed and OEM programs. Attendees will have the opportunity to hear presentations about risk management for the automotive industry, the future of auto insurance claims and the elements to a successful OEM collision repair program.